Photo via David J. Phillip/AP. Illustration via Jim Cooke. DraftKings and FanDuel have reached a voluntary agreement with the NCAA to cease all college sports daily fantasy contests, reports ESPN. However the daily fantasy legal battles resolve, it was always likely that these sites weren’t going to continue supporting college sports contests. Two of the three states that have crafted daily fantasy regulations—Massachusetts and Indiana—ban college sports contests. Additionally, the market for college sports daily fantasy just isn’t that big: ESPN reports that college basketball and football combined only account for three percent of FanDuel’s revenue. But why the voluntary agreement came now, and why the sites didn’t wait to be forced to drop support for college sports contests, are more interesting questions. The most cogent speculation I’ve seen comes from Legal Sports Report, which, incidentally, covers daily fantasy better than any other site out there. Dustin Gouker’s theory centers on the Professional and Amateur Sports Protection Act, better known as PASPA. This is the 1992 law that restricts gambling (with a few exceptions) to Nevada. The four major sports leagues (and the NCAA) that are suing New Jersey to stop it from implementing sports betting argue the state is violating PASPA. A federal court will decide the case soon. Legal Sports Report writes that “some legal analysts believe state regulation [of daily fantasy] could be a violation” of PASPA. Essentially, if daily fantasy is gambling—which it is to many observers and most state attorneys general—under PASPA states aren’t allowed to regulate it. So if there was a state that regulated daily fantasy but didn’t ban wagering on NCAA contests—which is the current situation in Virginia, for instance—that would open the door for the NCAA to sue the state. 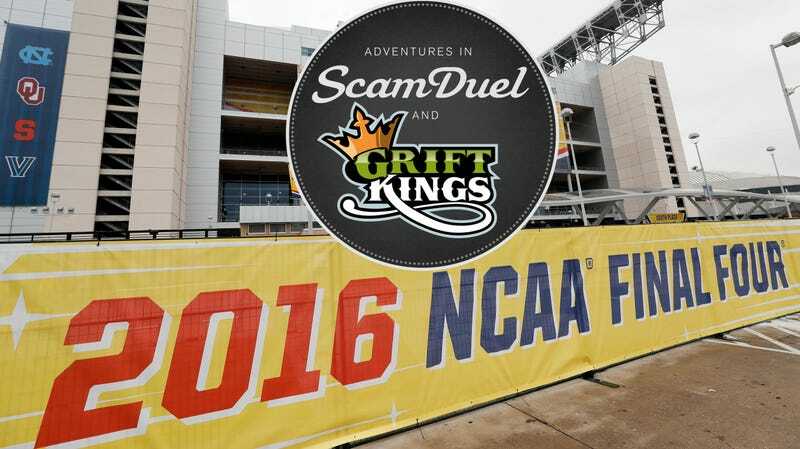 By voluntarily ending college sports contests, DraftKings and FanDuel are ensuring the NCAA will not sue. Under PASPA, the NCAA and professional sports leagues are the entities allowed to bring suits. But given that professional sports leagues are in bed with daily fantasy operators, and the recent agreement with the NCAA, it is much less likely that the daily fantasy industry will be targeted in a lawsuit under PASPA.